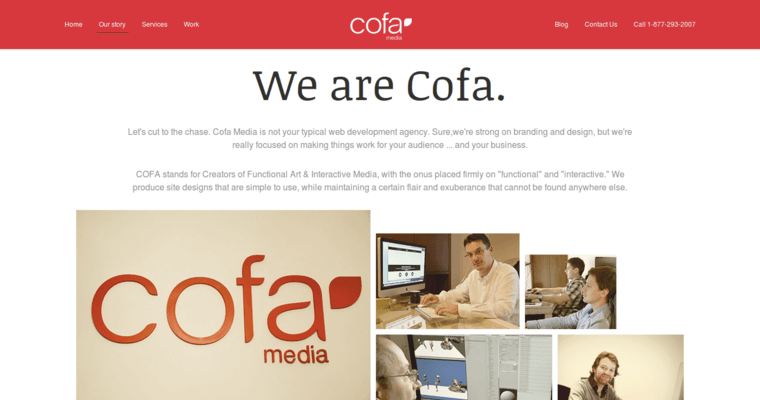 Cofa Media is a web design firm that has three offices around the world. 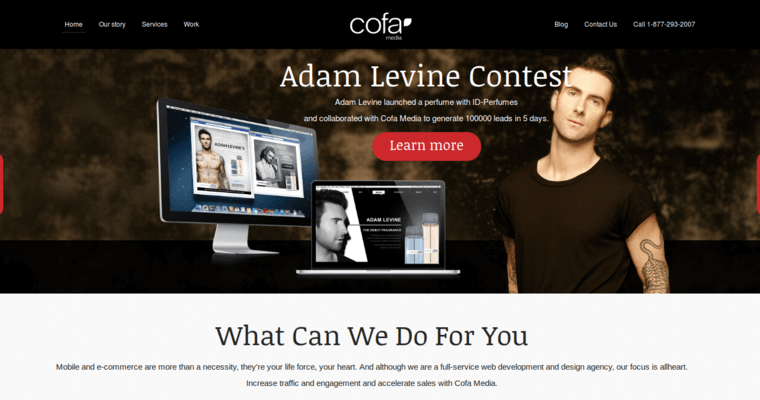 They specialize in designing and developing amazing websites for their clients. They have the capability to create any type of website based on your own unique needs. 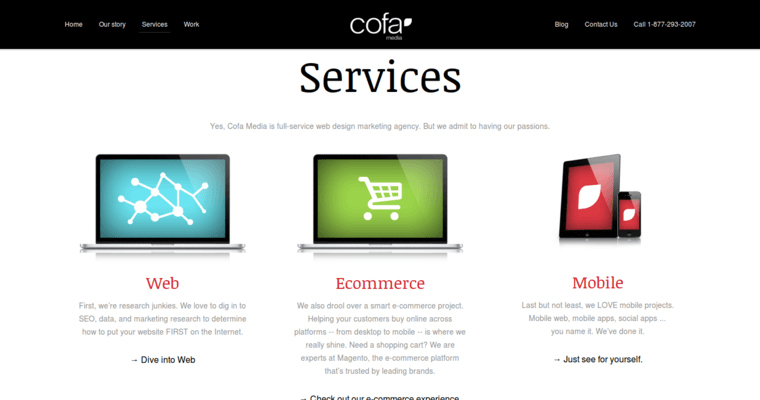 Whether you just need a static website to present your business, or have a project that is more advanced such as an online store, Cofa Media will be able to do it for you. They also do responsive and mobile website design, in addition to having the ability to redesign an existing website to improve its look and functionality. If having a quality website to show the world is important for your business, then their website professionals will be happy to evaluate your needs and get started on your project. Their services have been used by some of the most famous brands in the world and they have received numerous awards for the quality of their web design work.